Would you like to work with us? If you are suitably qualified and interested in joining our faculty, please contact us. Dr Mark O’Brien is the Medical Director and co-founder of the Cognitive Institute. Dr O’Brien is a well-regarded consultant and expert trainer in the areas of clinical leadership, risk management and quality and safety within the Asia-Pacific region. He is also a published author and regular international speaker across Australia, New Zealand, Asia, the United Kingdom, South Africa and North America with a passion for supporting clinicians to address the challenges they face in delivering the highest quality care to their patients. In 2013 he was recognised by the Australian Private Hospitals Association National Congress as ‘the only speaker to receive 5 stars across the board by all delegates’. In 2016 he was awarded the President’s Award from the Queensland Branch of the Australasian College of Health Service management for his services to healthcare. Dr O’Brien also serves as a Board member of Mater Misericordiae Ltd.
Dr Stephen Walker is Associate Medical Director of the Cognitive Institute. 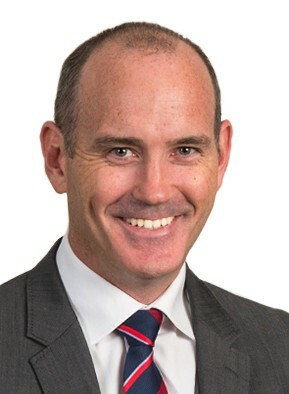 Prior to joining the Cognitive Institute Dr Walker held the positions of Director of Clinical Training, Deputy Director of Medical Management and Emergency Physician at Mater Health Services Brisbane. His previous appointments have included Deputy Director of Emergency Medicine at Mater Hospital, Deputy Director and Director of the Emergency Department at Ballarat Health Services and Emergency Department Director at St John of God Hospital Ballarat. Dr Walker also serves the Committee of Management for Emergency Life Support Inc, a not-for-profit education and training group providing emergency education and skills training throughout Australia and parts of Asia Pacific. He previously held the position of Senior Lecturer in the Department of Anaesthesia and Critical Care, University of Queensland. He has served on the Primary Examination Committee and Fellowship Examination Committees of the Australasian College for Emergency Medicine. Dr Walker has special interests in education and process improvement in clinical settings. He has published on trauma care efficacy and patient communication and holds post graduate qualifications in both Clinical Education and Medical Management. In 2004 Dr Walker was the recipient of the Mater Health Services Excellence in Clinical Teaching Award and in 2013 was named Queensland Clinical Educator of the Year. Dr Lynne McKinlay is Senior Medical Educator at Cognitive Institute. 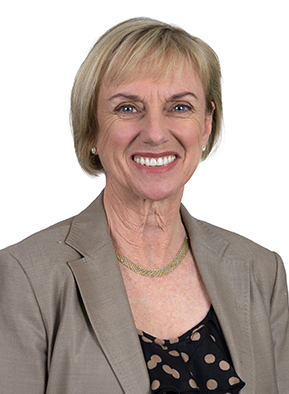 In addition to her work for Cognitive Institute, Dr McKinlay is Deputy Executive Director of Medical Services at Children’s Health Queensland and continues practise as paediatrician and specialist in paediatric rehabilitation medicine. 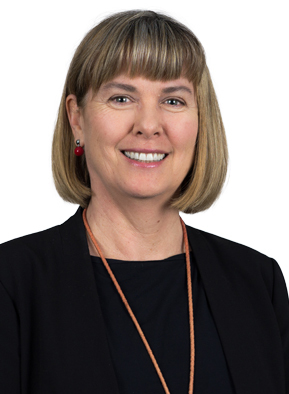 Dr McKinlay was Director, Queensland Paediatric Rehabilitation Service, Children’s Health Queensland from 2001 to 2014 before moving into medical administration and leadership in a full-time capacity. 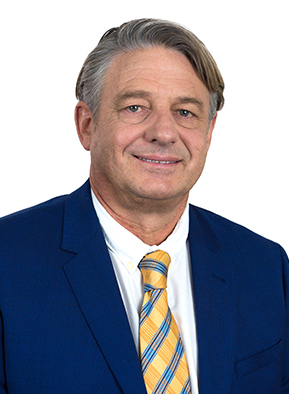 Dr McKinlay holds the position of senior lecturer with the School of Medicine, University of Queensland and was the founding clinical director of the Queensland Cerebral Palsy and Rehabilitation Research Centre in the Faculty of Medicine and Biomedical Sciences at the University of Queensland. In 2015 Dr McKinlay received the Children’s Health Queensland Australia Day Achievement Award for leadership and was a recipient of the Queensland Health Staff Excellence Silver Award for Leadership in 2004. She was a Churchill Fellow in 2002, investigating paediatric rehabilitation systems of care in North America, with this knowledge guiding ongoing development of the paediatric rehabilitation services in Queensland. She has published numerous papers in the area of childhood brain injury and has a special interest in Clinical Informatics and provision of care for people with complex healthcare needs. Dr McKinlay is driven to improve healthcare through her experience that a clinician is able to make a difference at both the individual patient and the health system levels through innovation, systems improvement and the development of communication and health leadership skills. Kirsten Dyer is a Senior Clinical Educator with Cognitive Institute. Kirsten’s leadership experience comprises senior and executive roles in both public and private health care. 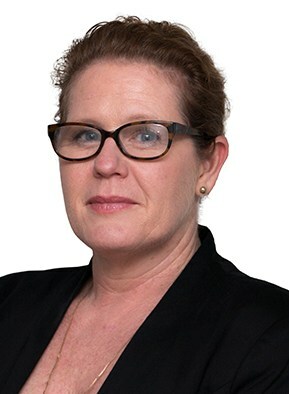 Prior to joining Cognitive Institute, Kirsten held the positions of Director of Program Management / Project Manager – Obstetrics and Gynaecology Task Group at Metro North Hospital and Health Service; Director of Clinical Governance at West Moreton Hospital and Health Service; and Executive Director of Safety, Quality and Risk at Queensland Health. 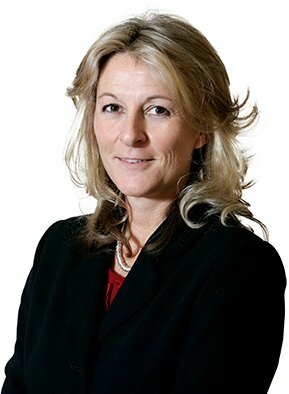 Kirsten’s extensive knowledge and expertise across clinical governance, change management, safety and reliability, and open disclosure has assisted organisations to overcome organisational boundaries, gain facility re-accreditation and credentialing, complete high-level clinical investigations, and has contributed to quality practice change and organisational reform. 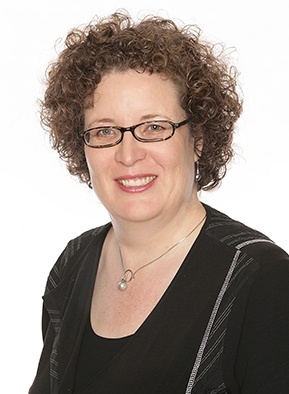 Kirsten has contributed to the development of public policy, white papers, quality standards and position statements, as well as academic research into healthcare accreditation, and clinical decision making and documentation. Kirsten and her co-authors’ work was accepted for presentation at the Royal College of Obstetricians and Gynaecologists World Congress, 2016. Kirsten applies motivational leadership to inspire teams to work together to achieve a shared vision. Dr Scott Clark is a psychiatrist who has worked in clinical and administrative roles for more than two decades in both the United States and Australia. He completed his medical training at the University of Medicine and Dentistry of New Jersey, and his medical internship and postgraduate training at the St Vincent’s Medical Center of New York City, the New York Medical College, and Columbia University. He is currently steering committee chair on a NSW Health / RANZCP project to increase the psychiatric workforce and improve access to psychiatric services in rural NSW. He is clinically active in addiction and forensic psychiatry, and has long standing involvement in public psychiatry and quality and safety improvement in psychiatric services. He has previously held the positions of Director of Mental Health at South Western Sydney Area Health Service and Clinical Director of the Rockland Psychiatric Center in New York. He is now the Clinical Director for Mental Health and Drug and Alcohol Services at the Western NSW Local Health District. Dr Clark is active in medical education, having held academic appointments at Columbia University, New York University, and the University of New South Wales. He is currently Associate Professor at the University of Newcastle Faculty of Health and Medicine. He has experience supervising psychiatry trainees in both New York and Australia and has worked on an AusAid project to develop and deliver mental health education programmes for health workers in East Timor. Dr Kathryn Robertson has been a medical educator since 1988 and a Cognitive Institute faculty member since 2007. Her experience encompasses undergraduate, vocational training and accreditation, remediation and continuing professional development for doctors, nurses and other health care professionals. This includes more than 17 years as a Senior Lecturer with the University of Melbourne, where she was recruited to establish the Simulated Patient/Actor program. Dr Robertson also worked as part of the team that developed the Communication Skills curriculum and Objective Structured Clinical Exam (OSCE) assessment process. 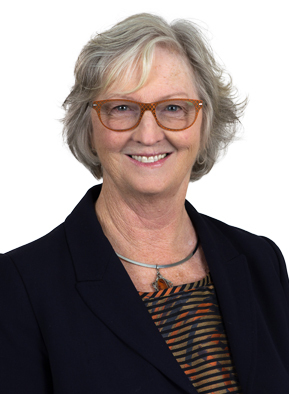 She continues a connection with the University as an Honorary Fellow, and assists in the development and delivery of the Excellence in Clinical Teaching suite of programs. Dr Robertson is a past winner of the University of Melbourne’s Norman Curry Award for innovation and excellence in support of and service to teaching and learning, and the Royal Women’s Hospital Award in excellence in education. She was a nominee for the Australian University Teaching Awards for programs that enhance learning, and finalist for the Victorian Public Health Awards for public health programs. She has published extensively in peer-reviewed journals and contributed chapters for textbooks, primarily in the areas of consulting and communication skills, as well as effective teaching and learning. She holds a Masters of Education and continues to work part-time in General Practice in outer suburban Melbourne. Dr Carolyn Russell has been a senior educator with the Cognitive Institute since its inception in 1998. She has presented more than 200 Cognitive Institute programmes in leadership, patient communication and risk management across Singapore, Australia, New Zealand and the United Kingdom. Dr Russell is an accredited small group facilitator for the Divisions of General Practice. She holds a Masters in Counselling and completed the UQ / Harvard Intensive Medical Educators Course in 2006. Dr Russell is a practicing GP with 35 years experience. 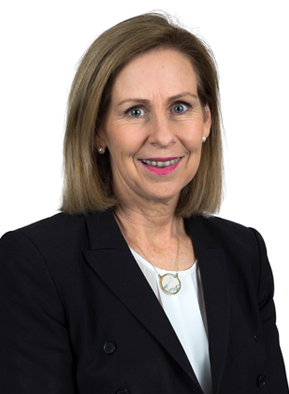 Previously she was principal of the Carseldine Medical Centre, and worked in a complex conditions clinic with a local private hospital. She is now a medical educator with General Practice Training Queensland and works with GPs, psychiatrists, psychologists, social work therapists and counsellors in a multidisciplinary model in a counselling centre co-located with the medical centre. Dr Bronwyn Hartwig has worked with the Cognitive Institute since 2005. Her particular interest is the Institute’s remediation Clinical Communication Programme. She was a general practitioner with more than 20 years’ experience working in regional and metropolitan centres. Her special interests are GP psychiatry, counselling and doctors’ health. She has completed postgraduate courses in family medicine and GP psychiatry, as well as an internship in stress management at the University of Massachusetts Medical School. 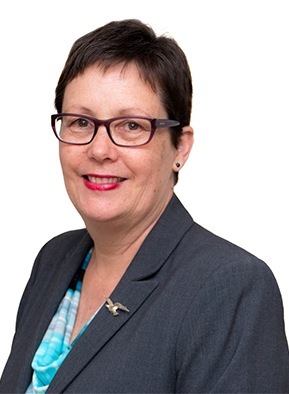 She currently tutors medical students in communication skills and was previously the Queensland Secretary of the Doctor’s Health Advisory Service. 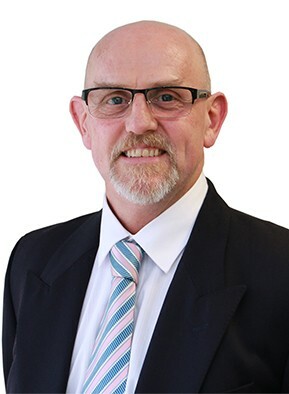 Dr Mark Woodrow has more than 23 years’ experience as a clinical doctor, and has an in-depth and current knowledge of medical, management, medicolegal and communications practices. His relevant experience has been gained in both the public and private health systems, including extensive experience in private emergency medicine. Dr Woodrow has additional training in clinical areas including diving and hyperbaric medicine, toxicology, sports medicine, disaster medicine, burns and emergency ultrasound, as well as postgraduate qualifications in law, business and ethics. Apart from 20 years as a clinical emergency physician, Dr Woodrow is an active instructor for the Early Management of Severe Trauma course and the Advanced Paediatric Life Support course. He is a member of the Avant Medical Experts Committee, a committee member for the Medico Legal Society of Queensland, and a member of the Wesley Hospital Medical Advisory Committee. He has a unique blend of medical, management, legal, ethics and other postgraduate qualifications combined with experience in business management, clinical education, medicolegal and risk management practices. Dr Woodrow possesses excellent skills in communication, team building, risk management and medicine, proven over 23 years in clinical practice. Dr Edwards has been a senior educator with the Cognitive Institute since just after it’s inception in 1998. She has personally presented many hundreds of Cognitive Institute workshops, training programs and educational events. In 2008, when the Cognitive Institute became part of the Medical Protection Society, she became a Master trainer, training presenters internationally. 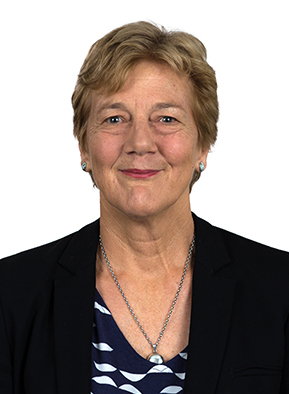 She is a past chairman of the RACGP’s Quality Assurance and Continuing Education Committee and has been a Medical Educator and faculty board member of the RACGP. She lectured at the University of WA and Flinders University, and was for many years, a senior examiner for the RACGP. She has worked as a Medical Educator and training advisor for the RACGP in WA and SA. Dr Edwards has 24 years of general practice experience, 19 as a practice principal. She has experience and interests in counselling, cognitive behavioural therapy and women’s health. Dr Stephen Priestley is a specialist in Emergency Medicine with broad experience at the Director level in public hospitals across both Victoria and Queensland. He is currently a Senior Staff Specialist in Emergency Medicine in the Sunshine Coast Hospital and Health Service, having previously held the position of Director of Emergency Medicine to March 2017. In this role he provided leadership to three emergency departments within the Health Service for 11 years. 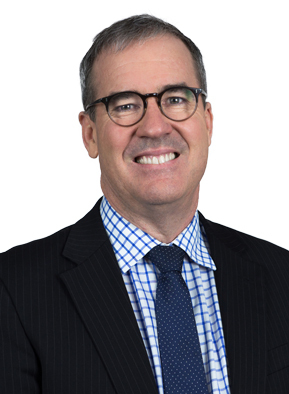 Dr Priestley has a particular interest in patient safety and quality care as evidenced by his appointments within health services and the Australasian College for Emergency Medicine (ACEM). He is immediate past Chair of the ACEM Patient Safety Working Group, a member of the ACEM Quality Sub-Committee and a member of the ACEM Senior Court of Examiners. In 2014 Dr Priestley received a Leadership in Patient Safety scholarship to complete the Institute of Healthcare Improvement Patient Safety Executive Program in Cambridge, MA. In March 2016 he co-convened an Accelerated Patient Safety Program for senior emergency medicine physicians and nursing staff, with Institute for Healthcare Improvement (IHI) Faculty. 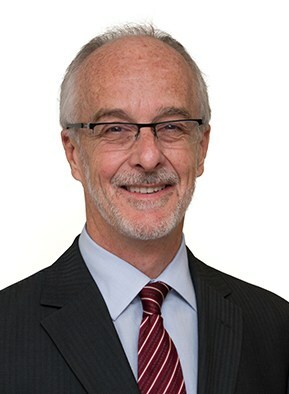 Dr Priestley is a member of the Digital Patient Safety Expert Advisory Group— established by the Australian Commission on Safety and Quality in Health Care (ACSQHC) to provide clinical safety advice and expert guidance to the Australian Digital Health Agency in relation to My Health record and other national health digital infrastructure. Dr Priestley has taught widely across Vietnam, Cambodia, Myanmar and Sri Lanka as a volunteer instructor with Advanced Paediatric Life Support Australia. In addition to his Leadership in Patient Safety scholarship, he has received several awards for his contribution to health service and research. As Senior Medical Educator with Cognitive Institute, Dr Priestley continues his contribution to health care by working with healthcare professionals to maximise patient wellbeing. Dr Suzy Jordache is a Senior Medical Educator for Cognitive Institute and the Medical Protection Society (MPS). Prior to joining Cognitive Institute and MPS, Suzy was the Director of Psychological Medicine in a not for profit UK hospice and an Honarary Consultant in Pallative Medicine in an NHS UK hospital. She has also worked in psychiatry and general practice. As global lead trainer for the MPS Education Faculty, Suzy has significant expertise and interest in improving safety culture and clinician professionalism. She provides inhouse training to hospital staff as part of Cognitive Institute’s Speaking Up for Safety programme. Suzy is a lead presenter in the internationally delivered Clinical Communication Programme and other individual intervention programmes to help doctors with professional, collegiate and patient challenges. She has also delivered education to leaders and teams in the fields of resilience and prevention of professional burnout. 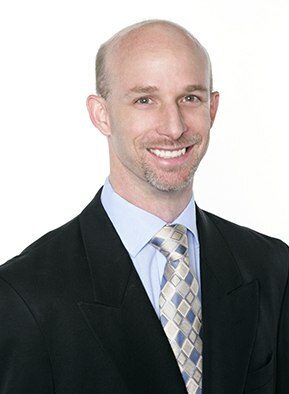 Matthew O’Brien co-founded the Cognitive Institute and has been its Managing Director since its inception in 1998. He leads the Institute’s development and provision of education services in 6 countries delivering more than 500 programmes and workshops. He has more than 20 years experience as a Managing Director, specialising in healthcare management, communication and marketing. He consults to healthcare organisations designing education strategies and implementation programmes. Before the Cognitive Institute, Mr O’Brien was the founder and Managing Director of one of Australia’s largest marketing firms, consulting to national organisations. Louise Cuskelly joined the Cognitive Institute in July 2013 as a project consultant introducing the Vanderbilt University Promoting Professional Accountability (PPA) Programme to healthcare organisations in Asia Pacific. In April 2014 she accepted the position of Senior Education Consultant, working with healthcare organisations to introduce change programmes to achieve results in the areas of communication, risk management and patient safety. Louise oversees Cognitive Institute’s commercial growth strategy and is responsible for identifying business growth opportunities, marketing strategy development and implementation and client engagement. She works closely with key stakeholders across the public and private healthcare sectors. She has a background in nursing and human resource management and extensive experience working at executive level in the public and private sector in marketing and business development, hospital management, education and training, project management and strategic planning. Nina Bianco joined Cognitive Institute in 2014, bringing more than 13 years’ experience in designing and developing face-to-face, blended and online education programs for the health, mining, education and insurance sectors. As Education Development Manager Nina develops, maintains reviews and produces education content and materials across Cognitive Institute’s programmes and series. Nina is skilled in best practice business and education design approaches and has contributed to several publications and conference presentations on professional development and learning. Nina has worked on ‘Leading Clinical Handover’, and a six-hour e-learning program for nurse managers written and developed for the Australian Commission on Quality and Safety in HealthCare (ACQSHC). She was also winner of LearnX Asia Pacific 2010 E-Learning and Training platinum award in best practices category.